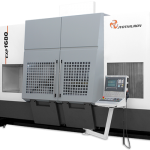 VMC 70 Linear - Jyoti CNC Automation Ltd. | cnc machine, cnc lathe, vmc machine, hmc machine, cnc turning center, cnc milling machine, cnc machining center, cnc vertical machining center, cnc, vmc, hmc. 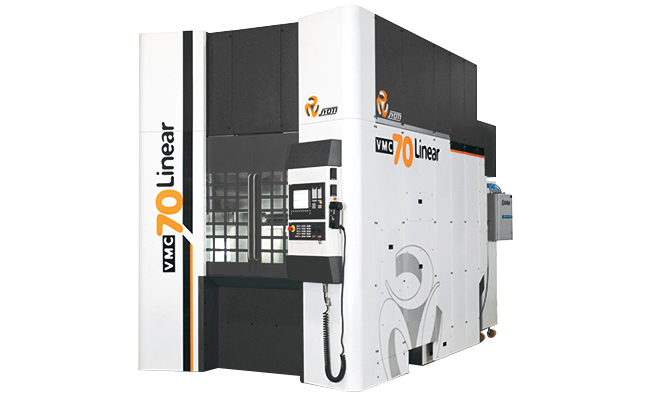 VMC-70 Linear is the first Indian Linear Machine with Linear motors, Dual Linear motors are used on all axis for maximum dynamics and accuracy for higher quality and fast production rates. As there are no mechanical transmission element like lead screw and coupling effect of elasticity and backlash is avoided Machine also have rotary triunion table for fourth and fifth axis. High speed electro-spindle makes the machining smooth and dimensionally accurate. Gantry type high speed machine. 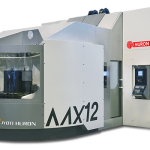 High Precision 5 axis Machine. High rate of spindle acceleration and decelerations. Structure reinforced with Concrete Structure.